Gas Nitriding as a process, has been used industrially since the early 1920's. The process is carried out in a sealed retort furnace at temperatures between 490°C and 530°C in a flowing Ammonia atmosphere for times up to 120 hours. Hauck HT offers extensive Gas Nitriding capacity from Telford and Letchworth with 20 furnaces of various sizes. The largest capacity is at Telford where furnaces are capable of processing parts up to 4.4m high and 1.2m diameter. Gas nitriding is normally carried out on hardened and tempered and fully stabilised parts to produce a hard wear resistant case, enhanced corrosion resistance and good fatigue performance. The process is usually performed on fully finished components which, in many instances, require no additional operations prior to assembly. 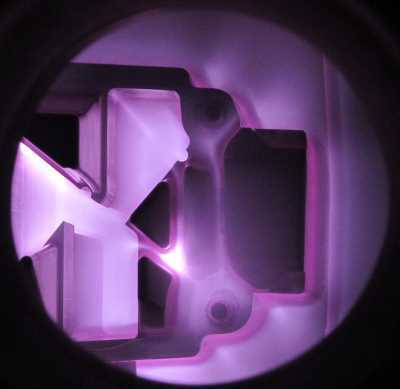 Whilst Gas Nitriding is normally applied to low alloy steels it is possible to nitride other materials such as stainless steel, titanium and nickel alloys, however the preferred nitriding route for those materials is Plasma Nitriding.